Update your appliances between December 1 2016 and January 31 , 2017 and receive an installation discount from Pro Line Appliance Installation of up to $150. Tis the season to update your appliances in three easy steps. The winter months are a great time of year to update the appliances in your home. Modern appliances offer many new and innovative features. From induction cook tops to convection steam ovens, microwave drawers to built-in coffee systems and ice machines, the possibilities are endless. It can seem a bit overwhelming, but we can help. First – Visit your local appliance distributor. These sales associates are very knowledgeable when it comes to the latest in household appliances. They can help you narrow down the options that work best for you. Second – Call Pro Line Appliance Installations and schedule an appliance installation evaluation. 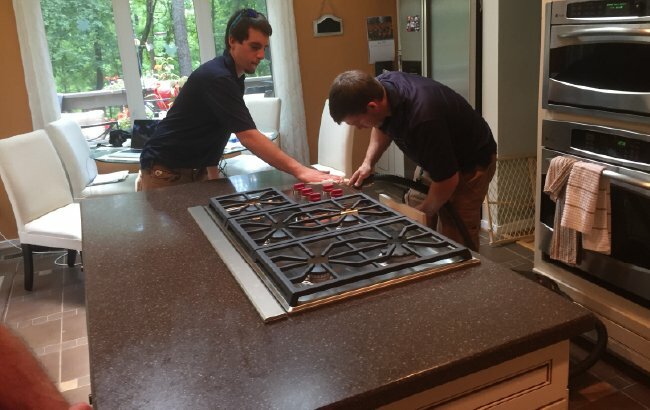 With over a decade of experience Pro Line Appliance Installation has helped thousands of homeowners make those final appliance selections that worked best in their kitchens. Third – Order your appliances and schedule your installation. Pro Line Appliance Installation has earned a reputation in the marketplace for being the best in the business. Our level of professionalism and attention to detail will ensure you are completely satisfied with your new household appliance installation. Remember, update your appliances between December 1 2016 and January 31 , 2017 and receive an installation discount from Pro Line Appliance Installation up to $150. Appliance installation must be scheduled directly through Pro Line Appliance Installation, no third party. Offer subject to schedule availability. Installation dates fill in quickly. We are your Professional Appliance Installation Company.